Informs you about the driving style adopted in real time. You will be notified by the colour of warning light 2. 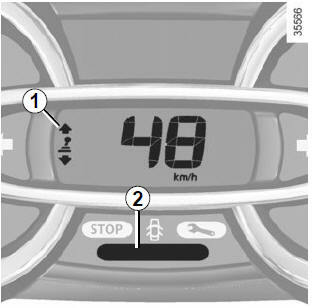 The driving style indicator is activated by default. If you wish to deactivate it, please see the multimedia system instructions.